The Consumer Financial Protection Bureau got the nod Friday (Jan. 20) from a California appeals court that it can go after Native American tribal lenders that market payday loans. According to a report , a Ninth Circuit of Appeals panel ruled online lenders Great Plains Lending, MobiLoans and Plain Green, all of which offer payday loans and installment loans, have to comply with the demands of the CFPB in its civil investigation. The ruling upheld a lower court decision that found tribal businesses are covered under the Consumer Financial Protection Act and that Congress didn’t exclude Indian tribes from being under the enforcement of the CFPB. “It is undisputed that the tribal lending entities are engaged in the business activity of small-dollar lending over the internet, reaching customers who are not members of the tribes or, indeed, have any relation to the tribes other than as debtors,” Circuit Judge Johnnie B. Rawlinson wrote in a 20-page opinion in the case, CFPB v. Great Plains Lending , according to the report. The tribal lenders had contended they should get sovereign immunity because the companies were created and are operated by the Chippewa Cree, Tunica Biloxi and Otoe Missouria tribes. The court ruling comes at a time when the CFPB is picking up enforcement action of companies it deems engaged in wrongdoings. Last week, it filed suit against Navient, the largest servicer of federal and private student loans in the United States. 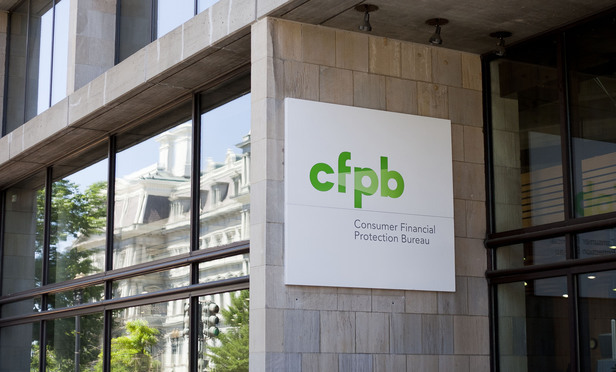 The CFPB suit alleges that Navient, formerly part of Sallie Mae, has been in violation of the Dodd-Frank Wall Street Reform and Consumer Protection Act, the Fair Credit Reporting Act and the Fair Debt Collections Practices Act. The Bureau claims that Navient and two subsidiaries provided bad information, processed payments incorrectly and failed to act when borrowers issued complaints — systematically and illegally failing borrowers. Additionally, the CFPB alleges that Navient cheated borrowers out of options to lower repayments, which the Bureau claims caused borrowers to pay more than they had to for their loans. From Jan. 2010 through March 2015, the CFPB alleges that Navient added as much as $4 billion in interest charges to borrowers’ principal balances if they were enrolled in multiple, consecutive forbearances, a large portion of which the Bureau believes could have been avoided. The CFPB lawsuit seeks to recover relief for borrowers harmed by Navient’s alleged servicing failures.